The first survey of actual U.S. rice plantings in 2016/17 indicates area at 3.21 million acres, up 148,000 acres from the March intentions and 23 percent above a year earlier. California accounted for nearly all of the upward revision in area. The U.S. crop forecast was raised 6 percent to a record 245.0 million cwt, 27 larger than a year earlier. The much larger crop forecast more than offset a slight reduction in carryin, raising the total supplies to a record 309.9 million cwt. The U.S. domestic use (including a residual component) was raised 3.0 million cwt to a record 138.0 million cwt, 14 percent higher than a year earlier. The U.S. rice export forecast was also raised 3.0 million cwt, to 115.0 million cwt, 12 percent above a year earlier. On balance, these revisions resulted in a 6.0-million increase in the 2016/17 ending stocks forecast to 56.9 million cwt, the highest since 1985/86. The 2016/17 California medium- and short-grain season-average farm price was lowered $2.00 on both ends to $15.50-$16.50 per cwt, the lowest since USDA first reported medium- and short-grain SAFP prices by region in 2008/09. The first survey of actual U.S. rice plantings in 2016/17 indicates area at 3.21 million acres, up 148,000 acres from the March intentions and 23 percent above a year earlier. These are the largest U.S. rice plantings since 3.6 million acres were planted in 2010/11. The near-600,000-acre expansion in 2016/17 was due to improved water availability in California, an end to water restrictions in the Texas rice growing area, a return of several hundred thousand acres of rice not planted in 2015/16 due to heavy rains in much of the South—mostly in the Delta, and the lack of more viable planting options—also especially in the Delta, the largest rice growing region in the United States. Long-grain 2016/17 plantings were raised 12,000 acres to 2.46 million, more than 31 percent above a year earlier and the highest since the record 2.84 million acres were planted in 2010/11. 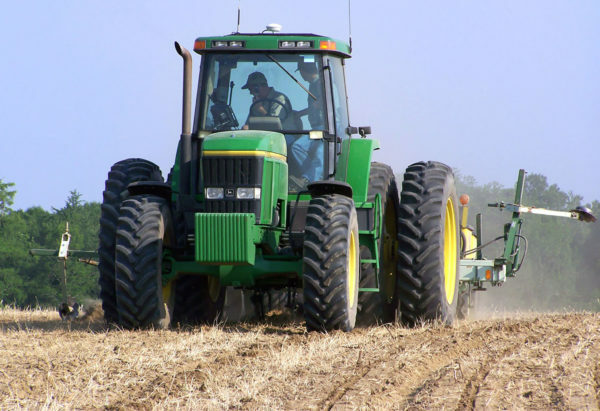 Combined medium- and short-grain plantings were raised 136,000 acres to 748,000 acres, with California accounting for almost all of this month’s upward revision in total U.S. rice plantings. Southern medium-grain plantings are nearly unchanged from March. The substantial increase in the California area estimate between early March and early June was largely due to improved water-availability. In 2014/15 and 2015/16, California rice area was sharply reduced due to water restrictions resulting from long-term drought. In the South, the 2016/17 area estimate was raised slightly from the March intentions for Louisiana and Missouri, lowered slightly for Mississippi and Texas, and unchanged for Arkansas. On an annual basis, medium- and short-grain plantings are up just 1 percent from a year earlier, as a 139,000-acre increase in California’s plantings was almost offset by a 131,000-acre reduction in medium- and short-grain plantings in the South. Southern growers reduced plantings due to declining prices, a weak market for Southern medium exports, and expectations of area recovery in California. At 1.58 million acres, Arkansas’ 2016/17 rice plantings are 21 percent above a year earlier and the highest since the record 1.8 million acres were planted in 2010/11. 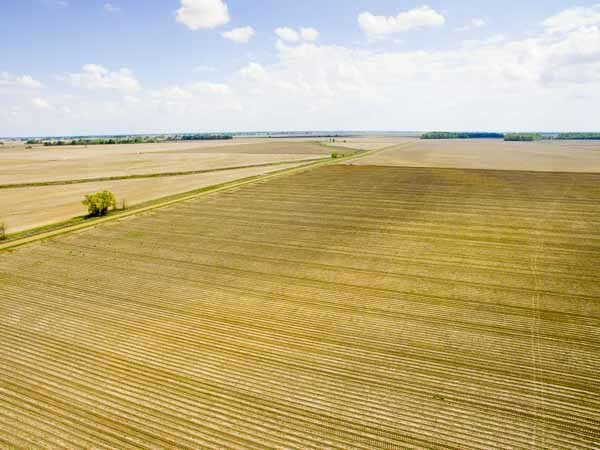 Long-grain acreage in Arkansas is estimated at 1.43 million acres, up 35 percent from a year earlier. In contrast, Arkansas’ medium-grain area of 150,000 acres is 39 percent below a year earlier. In nearby Mississippi, 2016/17 rice area is estimated at 200,000 acres, up 33 percent from a year earlier. Long-grain accounts for all of Mississippi’s rice area. Missouri’s 2016/17 rice plantings are estimated at 217,000 acres, 19 percent above a year earlier. Long-grain accounts for the bulk of Missouri’s rice area and all of the 2016/17 increase. In 2015/16, heavy rains in the Delta prevented plantings on several thousand acres of rice land. On the Gulf Coast, Louisiana’s 2016/17 rice area is estimated at 470,000 acres, 12 percent above a year earlier and the highest since 2010/11. Long-grain—the dominant class of rice grown in Louisiana—accounts for all of the expected increase. Medium-grain acreage in Louisiana declined by more than 50 percent in 2016/17. In Texas, rice plantings are estimated at 180,000 acres, up 35 percent from a year earlier and the highest since 2011/12. From 2012/13-2015/16, Texas rice growers faced water restrictions that substantially reduced rice plantings. In California, 2016/17 rice area is estimated at 564,000 acres, up 33 percent from a year earlier and the highest since 2013/14. Although the water-availability situation has improved the California rice growing area, much of the State is still experiencing drought. Almost all of California’s rice area is in medium- and short-grain rice. The State supplies about 75 percent of U.S. medium- and short-grain production, with yields 15-20 percent above southern medium- and short-grain rice. Harvest of the 2016/17 U.S. rice crop is expected to begin on the Gulf Coast by mid-month, with progress of the crop still ahead of normal in most States. For the week ending July 10, 28 percent of the 2016/17 U.S. rice crop had headed, 1 percentage point below a year earlier but well ahead of the U.S. average of 21 percent. In Arkansas, 14 percent of the crop had headed by July 10, slightly behind a year earlier but up 1 percentage point from the State’s 5-year average. Missouri’s 2016/17 rice crop was reported 3 percent headed by July 10, well behind last year’s 19 percent and behind the State’s 5-year average of 7 percent. 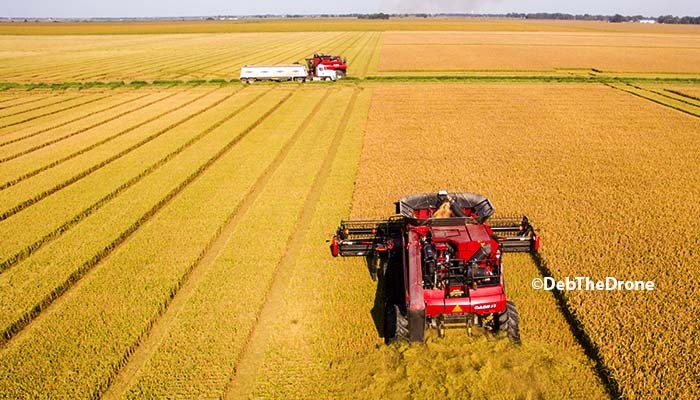 The Mississippi 2015/16 rice crop was 29 percent headed by July 10, just 1 percentage point behind a year earlier but ahead of the State’s 5-year average of 24 percent. On the Gulf Coast, 70 percent of Louisiana’s 2016/17 rice crop was reported headed by July 10, 2 percentage points behind a year earlier but ahead of the State’s 5-year average of 64 percent. In Texas, 71 percent of the 2016/17 rice crop was reported headed by July 10, well ahead of 51 percent a year earlier and the State’s 5-year average of 49 percent. California’s crop progress was also well ahead of normal. For the week ending July 10, 25 percent of California’s 2016/17 rice crop had headed, above 17 percent a year earlier and well above the State’s 5-year average of 5 percent. For the week ending July 10, the condition of the 2016/17 U.S. rice crop was rated slightly below a year earlier, with 69 percent of the U.S. crop rated in good or excellent condition compared with 71 percent last year. In 2016/17, 7 percent of the crop was rated in poor or very poor condition, up 1 percentage point from a year earlier. 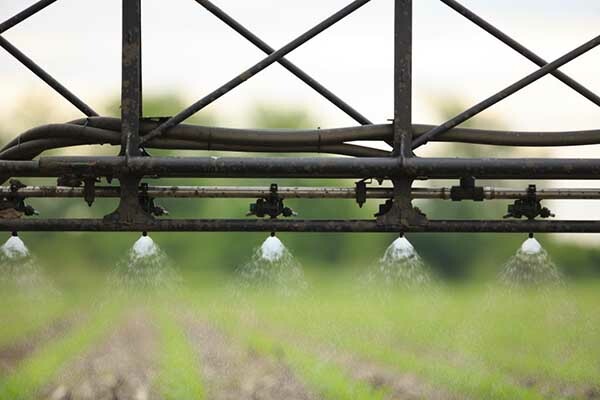 In Arkansas, 63 percent of the crop was rated in good or excellent condition for the week ending July 10, compared with 69 percent a year earlier. In addition, 11 percent of Arkansas’ 2016/17 crop was rated in poor or very poor condition, up from 8 percent a year earlier. A concern in Arkansas is the higher than normal temperatures at night that accompanied recent extremely high daytime temperatures. If temperatures do not fall below 75 degrees at night, grain quality issues are likely. For the week ending July 10, 70 percent of Missouri’s 2016/17 rice crop was rated in good or excellent condition, well ahead of 59 percent a year earlier. Six percent of Missouri’s 2016/17 crop was rated in poor or very poor condition, up 1 percentage point from a year earlier. In nearby Mississippi, 76 percent of the 2016/17 rice crop was rated in good or excellent condition, 2 percentage points less than a year earlier. 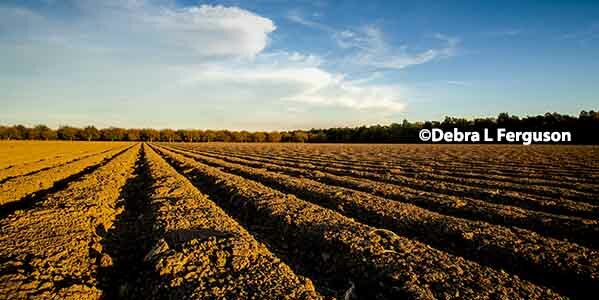 In both years, 2 percent of Mississippi’s rice crop was rated in poor or very poor condition. On the Gulf Coast, 67 percent of Louisiana’s 2016/17 rice crop was rated in good or excellent condition, down from 71 percent a year earlier. In both years, 5 percent of the crop was rated in poor or very poor condition. As with Arkansas, lack of sufficient cooling at night may hinder crop quality. In Texas, 57 percent of the 2016/17 rice crop was rated in good or excellent condition, up from 53 percent a year earlier. Seven percent of the Texas 216/17 rice crop was rated in poor or very poor condition, up 1 percentage point from a year earlier. In California, 85 percent of the 2016/17 rice crop was rated in good or excellent condition, unchanged from a year earlier. The remaining crop was rated in fair condition in both years. The 2016/17 U.S. rice crop is projected a record 245.0 million cwt, up 6 percent from the previous forecast and 27 percent larger than a year earlier. 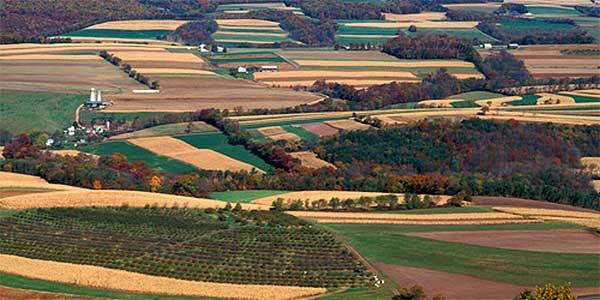 This month’s upward revision was primarily due to a 5-percent increase in harvested area to 3.2 million acres. The average yield was raised 1 percent to 7,680 pounds per acre, 3 percent above a year earlier and just 14 pounds below the 2013/14 record. This month’s upward revision in the yield forecast was due to a larger share of the crop coming from California, which achieves higher yields than the South. The 2016/17 U.S. long-grain crop forecast was raised 1 percent to 183.0 million cwt, 38 percent larger than a year earlier but still fractionally below the 2010/11 record. The 2016/17 medium- and short-grain crop forecast was revised up 24 percent to 62.0 million cwt, nearly 5 percent above a year earlier. The upward revision was primarily based on a larger area estimate for California. This is the largest U.S. medium- and short-grain crop since 2011/12. Beginning stocks for 2016/17 are estimated at 40.9 million cwt, down 2.0 million cwt from the previous forecast and 16 percent below a year earlier. The downward revision was due to stronger exports in 2015/16. By class, long-grain 2016/17 beginning stocks are projected at 21.0 million cwt, down 2.0 million cwt from the previous forecast and 21 percent smaller than a year earlier. Medium- and short-grain beginning stocks remain forecast at 18.0 million cwt, 11 percent below a year earlier. There were no revisions this month to the 2016/17 U.S. rice import forecast. U.S. rice imports remain forecast at 24.0 million cwt, unchanged from a year earlier. By class, long-grain 2016/17 imports remain forecast at 20.5 million cwt, also unchanged from 2015/16. Medium- and short-grain imports remain forecast at 3.5 million cwt, also unchanged from a year earlier. A much larger crop forecast more than offset a slight reduction in the carryin forecast, raising the total 2016/17 U.S. rice supply forecast 4 percent to a record 309.9 million cwt. Total supplies in 2016/17 will be 17 percent larger than a year earlier. Long-grain total supplies are projected at 224.5 million cwt, unchanged from last month’s forecast but 25 percent higher than a year earlier and the highest on record. This month, a higher production forecast exactly offset a reduced carryin forecast. Supplies of this size are expected to prevent any price strength in the U.S. long-grain market. Medium- and short-grain supplies are projected at 83.5 million cwt, up 12.0 million cwt from the previous forecast but nearly unchanged from a year earlier. On an annual basis, a slightly larger crop is expected to offset a smaller carryin, leaving total supplies almost unchanged. Total use of U.S. rice in 2016/17 is projected at 253.0 million cwt, up 6.0 million cwt from the previous forecast, 13 percent above a year earlier and the highest on record. Forecasts for both total domestic use (including a residual component) and exports were revised up this month. By class, long-grain total use is projected at 186.0 million cwt, unchanged from last month’s forecast but up 17 percent from a year earlier and a near-record. Medium- and short-grain use is forecast at 67.0 million cwt, up 6.0 million cwt from the previous forecast and 3 percent from a year earlier, and even with the 2011/12 record. U.S. domestic use (including a residual component that accounts for post-harvest losses in storing, marketing, transporting, and processing) is projected at a record 138.0 million cwt, up 3.0 million cwt from the previous forecast and 14 percent higher than a year earlier. This month’s upward revision was primarily based on expectations of a larger residual component associated with a record crop. Long-grain domestic use remains projected at 105.0 million cwt, 19 percent higher than a year earlier and the second highest on record. Medium- and short-grain domestic use is projected at 33.0 million cwt, up 3.0 million cwt from the previous forecast but unchanged from a year earlier. Total U.S. rice exports in 2016/17 are projected at 115.0 million cwt, up 3.0 million cwt from the previous forecast and 12 percent larger than a year earlier. U.S. rice exports in 2016/17 are second only to the record 124.6 million shipped in 2002/03. The substantial year-to-year increase in U.S. rice exports is based on record supplies and expectations of more competitive prices. Long-grain exports remain projected at 81.0 million cwt, up 14 percent from a year earlier and the highest since 2005/06. To achieve this level of long-grain exports, the United States will need to expand exports in its core markets in Latin America, as well as in markets in Sub-Saharan Africa and the Middle East, where the United States faces substantial competition from Asian and South American exporters. Medium- and short-grain exports in 2016/17 are projected at 34.0 million cwt, up 3.0 million from the previous forecast and 6 percent higher than a year earlier. This month’s upward revision was based on a substantial increase in U.S. medium- and short-grain supplies and a substantially reduced 2016/17 forecast for U.S. medium- and short-grain rough-rice prices. In addition to its regular WTO sales to North East Asia, the United States will need to expand sales to other medium- and short-grain markets, primarily in the Mediterranean and Oceania, to achieve this forecast level of exports in 2016/17. By type of rice, U.S. milled rice exports (combined milled and brown rice exports on a rough-rice basis) are projected at 78.0 million cwt, up 1.0 million from the previous forecast and 14 percent above a year earlier. Sub-Saharan Africa and the Middle East are likely markets where the United States could expand sales of milled rice in 2016/17 due to more competitive prices and plenty of supplies. U.S. rough-rice exports in 2016/17 are projected at 37.0 million cwt, up 2.0 million from the previous forecast and 7 percent higher than a year earlier. These are the highest U.S. rough-rice exports since 2010/11. Mexico, Central America, and northern South America are the top markets for U.S. rough rice. These buyers take almost exclusively long-grain rough-rice. The Mediterranean is the only major market for U.S. medium- and short-grain rough-rice, with Libya and Turkey the main buyers. U.S. 2016/17 rice ending stocks are projected at 56.9 million cwt, up 6.0 million from the previous forecast and 39 percent higher than a year earlier. These are the highest U.S. ending stocks since 1985/86. The stocks-to-use ratio is projected at 22.5 percent, up from 18.2 percent a year earlier and the highest since 1992/93. This level of ending stocks and share of total use is expected to pressure U.S. prices lower in 2016/17, especially for medium- and short-grain. Long-grain ending stocks in 2016/17 are projected at 38.5 million cwt, unchanged from the previous forecast but up 83 percent from a year earlier. These are the highest U.S. long-grain ending stocks since 1985/86. The long-grain ending stocks-to-use ration is projected at 20.7 percent, up from 13.2 percent a year earlier and the highest since 1986/87. Medium- and short-grain ending stocks in 2016/17 are projected at 16.5 million cwt, up 6.0 million cwt from the previous forecast but 8 percent below a year earlier. The medium- and short-grain ending stocks-to-use ratio is projected at 24.6 percent, down from a year earlier’s abnormally high 27.6 percent. There were no supply-side revisions to the 2015/16 U.S. rice balance sheet this month. On the use side, total exports in 2015/16 were raised 2.0 million cwt to 103.0 million, 3 percent above a year earlier. 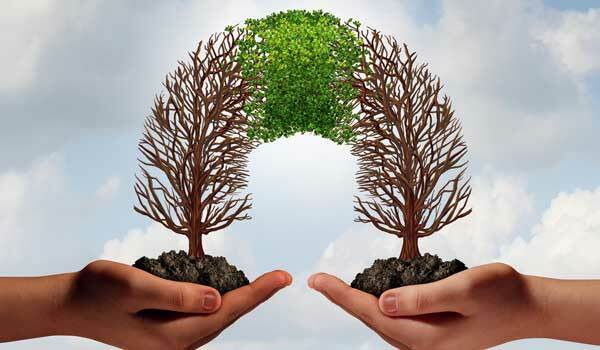 This month’s upward revision was based on the pace of sales and shipments through late June and expectations regarding shipments the remainder of the year. Since last month, U.S. sales have been stronger than expected to core U.S. markets in northern South America and the Caribbean. By class, U.S. 2015/16 long-grain exports were raised 2.0 million cwt to 71.0 million cwt, nearly unchanged from a year earlier. The medium- and short-grain export forecast remains at 32.0 million cwt, up 8 percent from a year earlier. The higher 2015/16 export forecast lowered the ending stock forecast 2.0 million cwt to 40.9 million cwt, 16 percent below a year ago. Long-grain ending stocks were lowered to 21.0 million cwt, 21 percent below a year earlier. Medium- and short-grain ending stocks remain forecast at 18.0 million cwt, 11 percent below a year earlier. Based on data contained in the June 30 Rice Stocks report, U.S. rice stocks (combined milled and rough-rice stocks on a rough-rice basis) on June 1, 2016, are estimated at 74.1 million cwt, down 8 percent from a year earlier. By class, long-grain stocks on June 1 are estimated at 41.3 million cwt, down 10 percent from a year earlier. Combined medium- and short-grain stocks on June 1 are estimated at 29.5 million cwt, 6 percent below a year earlier. Stocks of brokens—not classified by grain length—are estimated at 3.4 million cwt, down 5 percent from a year earlier. By State, California and Arkansas accounted for the bulk of U.S. rice stocks and most of the decline in June 1 stocks. At 41.8 million cwt, rice stocks in Arkansas on June 1 were down 6 percent from a year earlier. In California, rice stocks on June 1 are estimated at 23.0 million cwt, down 16 percent from a year earlier. Louisiana’s June 1 rice stocks are estimated at 4.3 million cwt, up 2 percent from a year earlier. Louisiana is the only State were June 1 stocks were higher than a year earlier. In Texas, rice stocks on June 1 are estimated at 3.3 million cwt, 21 percent below a year earlier. Missouri’s June 1 stocks of 1.8 million cwt were 10 percent below a year earlier. Mississippi’s June 1 rice stocks of 889,000 cwt were 38 percent below a year earlier. The U.S. all-rice 2016/17 season-average farm price is projected at $11.20-$12.20 per cwt, down 40 cents on both the high and low ends from last month’s forecast and below $12.30 in 2015/16. The downward revision was due to a reduced forecast for the 2016/17 California medium- and short-grain price. The U.S. long-grain 2016/17 season-average farm price (SAFP) remains projected at $10.00-$11.00 per cwt, with the midpoint 50 cents below the 2015/16 long-grain SAFP of $11.00. At $15.50-$16.50 per cwt, the California medium- and short-grain price is down $2.00 on both ends from the previous forecast and well below the $18.20 projected for 2015/16. The substantial downward revision was based on the much larger California area estimate. This is the lowest California medium- and short-grain SAFP since USDA first reported medium- and short-grain SAFP prices by region in 2008/09. The Southern medium- and short-grain 2016/17 SAFP is forecast at $10.50-$11.50 per cwt, little changed from the $11.30 forecast for 2015/16. The lower California medium- and short-grain SAFP reduced the U.S. medium- and short-grain SAFP $1.40 on both the high and low ends to $14.00-$15.00 per cwt, down from $15.40 a year earlier. The mid-point of the 2016/17 medium- and short-grain SAFP would be the lowest since 2006/07. In late June, NASS reported a May 2016 long-grain rough-rice cash price of $10.70 per cwt, unchanged from a month earlier and the lowest since August 2015. For U.S. medium- and short-grain rice, the May price was reported at $14.50 per cwt, up 70 cents from April. By region, the California medium- and short-grain price in May was reported at $17.90 per cwt, up 10 cents from April but $2.30 below the start of the California 2015/16 market year in October 2015. In the South, the May medium- and short-grain price was reported at $10.40 per cwt, unchanged from April. The Southern medium- and short-grain rough-rice price had dropped each month in 2015/16 from September 2015 through April 2016.